Manufactured in Allemagne from 1966 until after 1975. 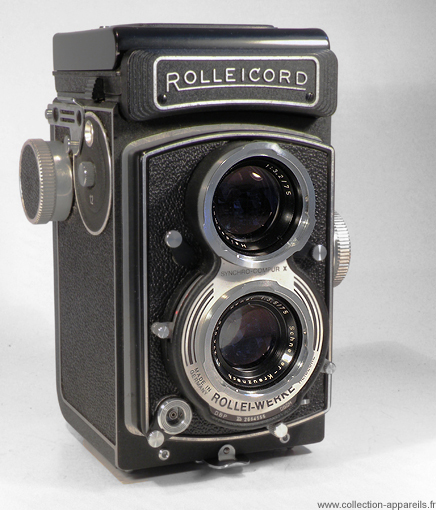 This camera is recognizable with marking ROLLEI-WERKE in arc of a circle which is under the taking lens and to the position of the serial number. Its taking lens is a Heidosmat f3,2 /75 mm. The focusing is done while advancing the plate it which support the two lenses. A magnifying glass in the cap makes it possible a very precise focusing on the glass ground.